The year was 1973. The program read, Central Catholic Glee Club presents “I Believe in Music.” The cover depicted the 350 members of the Glee Club. This is how it began for an anxious audience. It ended with applause and praise for the members and their director Sister Martin Marie, I.H.M. 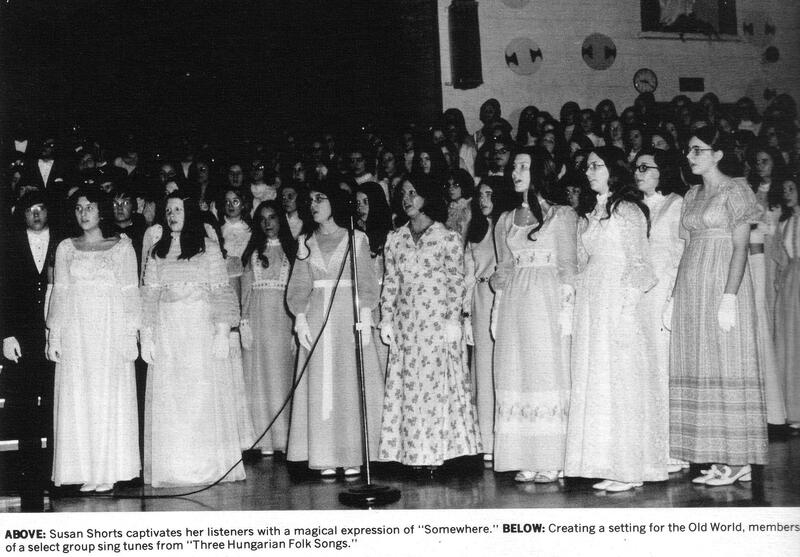 The 1973 spring concert highlighted individual talent both in solo and group performance. “The Gift of Song” featured a lovely melody accompanied by the beautiful strains of a flute played by Theresa Chopko. An all-female group provided a lovely rendition of “Three Hungarian Folk Songs,” and at the intermission the audience was treated to selections from “No, No, Nanette.” The strutters performed a snappy Charleston routine to “Thoroughly Modern Millie.” The final number, “Anthem for Spring,” featured a special ballet group. Vocal soloists were Jerome Stone, Doreen Menta, and Susan Shorts. Ann Marie Zarella starred in a dance interpretation of “Born Free.” Tradition followed true to form when the senior couples waltzed to the fantasy music of “Ten Minutes Ago.” When the imaginary curtain fell, applause resounded throughout the Central Catholic auditorium in recognition of a splendid presentation. On a side note, the first annual Holy Redeemer Spring Concert featured a Senior Waltz, carrying on the glorious Central Catholic/Bishop O’Reilly tradition. The waltz was directed by Mr. Thomas Hanlon. 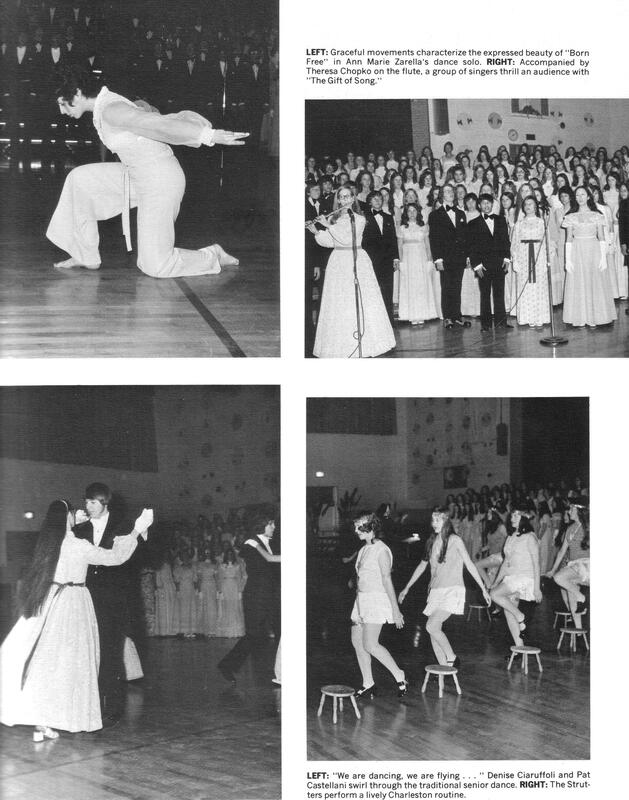 If anyone has any photos to share of this year’s senior waltz or memories of school years past, please email me.